Next month, twenty-two baby mountain gorillas will be "baptized" in an annual ceremony dubbed as a name-giving event in Rwanda's Volcans National Park. 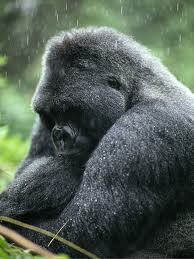 One of the main touristic attractions in Rwanda are the gorillas which accounted for 90% of tourism revenue. The looming sad story is that up until today, mountain gorillas find themselves on the endangered species list however, according to a 2010 census, the total number of mountain gorillas has increased by a quarter over the past 7 years to reach more than 780 individuals! Conservation and tourism director Rica Rwigamba said the ceremony will be held on 18 June,2011 and among those who will be given names are twin mountain gorillas which is a rare occurrence for an endangered species.